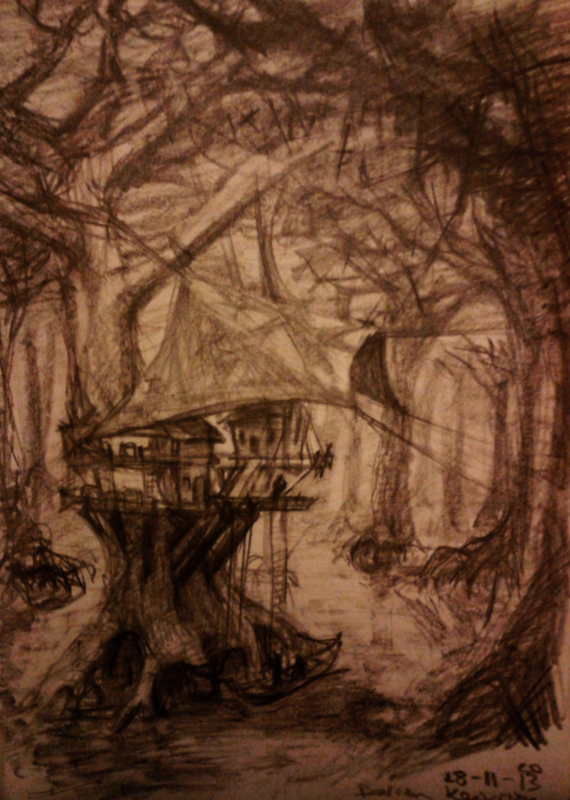 Concept drawing of a tree-dwelling rendered in pencil on paper. First drawing. I enjoy the notion, but I will probably revisit this in more drawings in the future with greater success.